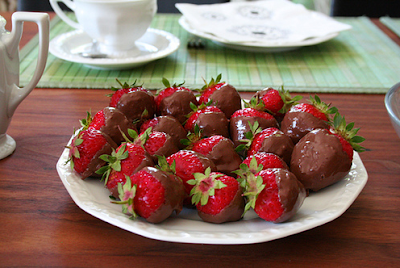 Organic strawberries + dark chocolate chips + cream (equal millilitres of cream to grams of chocolate). Boil the cream in a saucepan, melt the chocolate and mix it with the cream, then dip the strawberries and refrigerate until the chocolate hardens. Simple and delicious!